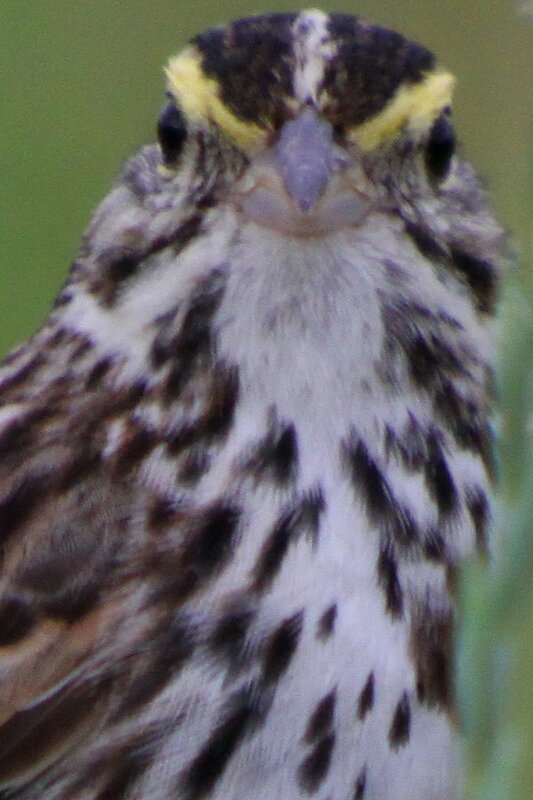 Savannah Sparrows have been very kind to me over the last couple of years, whether at Brigantine, Breezy Point, or Lake Perris. Passerculus sandwichensis just seems willing to be confiding, a trait about which I certainly can’t imagine complaining. 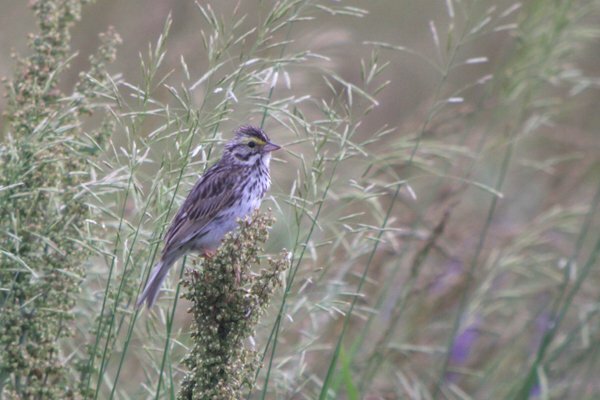 My recent outing with Seth and Mary when we found probable breeding Bobolinks in Queens was no exception, with a couple of pairs of very confiding Savannah Sparrows singing, foraging, and generally posing for the digiscoping rig. It was nice, very nice, as the photos below hopefully demonstrate. 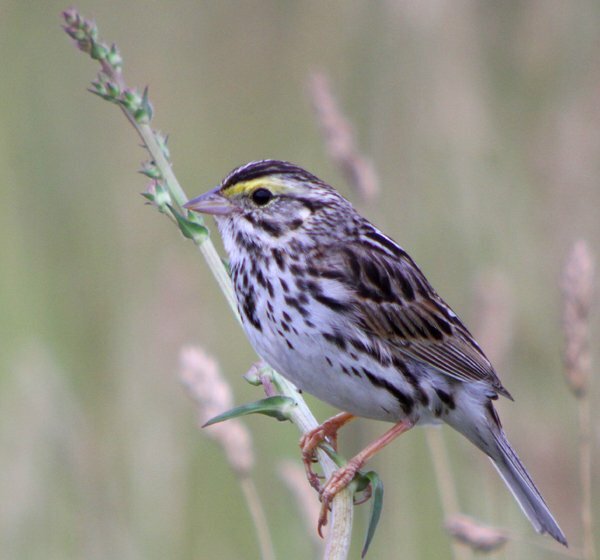 Savannah Sparrows breed across the northern United States and most of Canada and Alaska and winter as far south as northern Central America and Cuba. They are plentiful and varied, with numerous subspecies, several of which were or will likely be recognized as distinct species. Most important, for this blog post anyway, is that they breed in Queens and sat still long enough for me to get some images. Enjoy! If you liked this post and want to see more great images of birds make sure to check out 10,000 Clicks, our big (and growing) page of galleries here at 10,000 Birds. This post has been submitted to Bird Photography Weekly #147. Go check it out! Gorgeous, Corey. 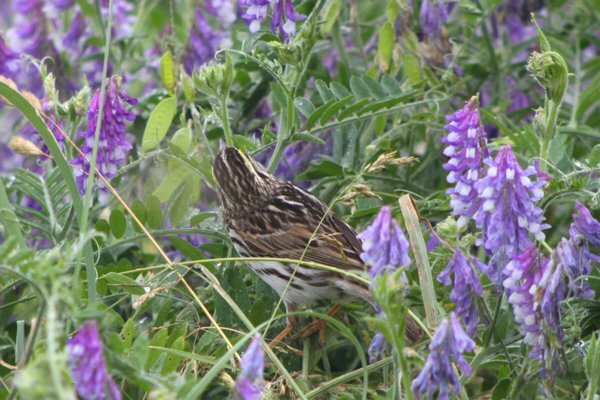 But how do you know they’re not Song Sparrows? Joking!! Great photos. They really bring out the subtle beauty of the small and brown. @Carrie: No! 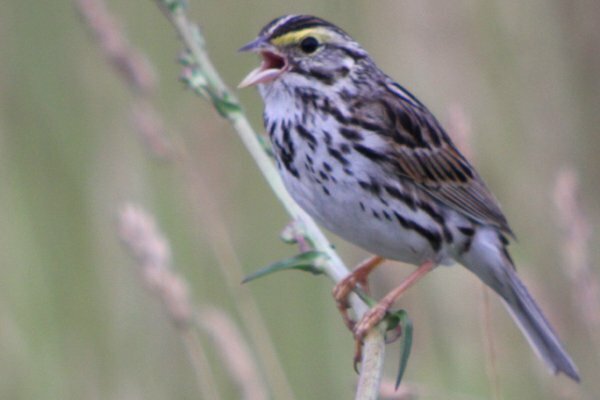 The Savannah Sparrow is a shammer and a cheat trying to obtain European birders’ sympathy by fraud. Small and brown it may be and a sparrow, too. But the yellow will always betray its true North American origin – it’s adhesion to the colour decadence of your continent – and expose the bird’s trickery, a wisp of wolf’s hair underneath sheep’s clothing. @Luke: it was all in good humour. 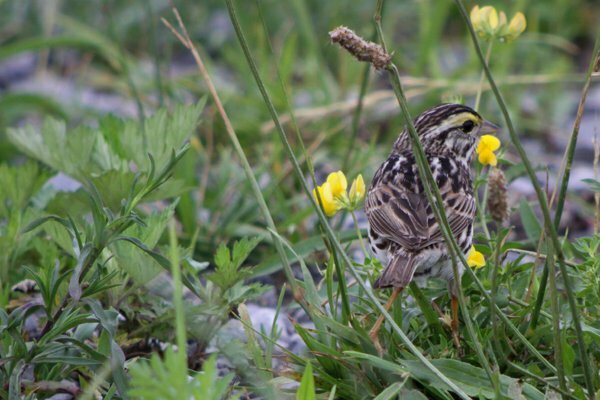 It’s the good old game of “jealousy” of the European birders, who have to be content with looking at rather drab bird species compared to the birders of North America who are blessed with much more colourful birds. 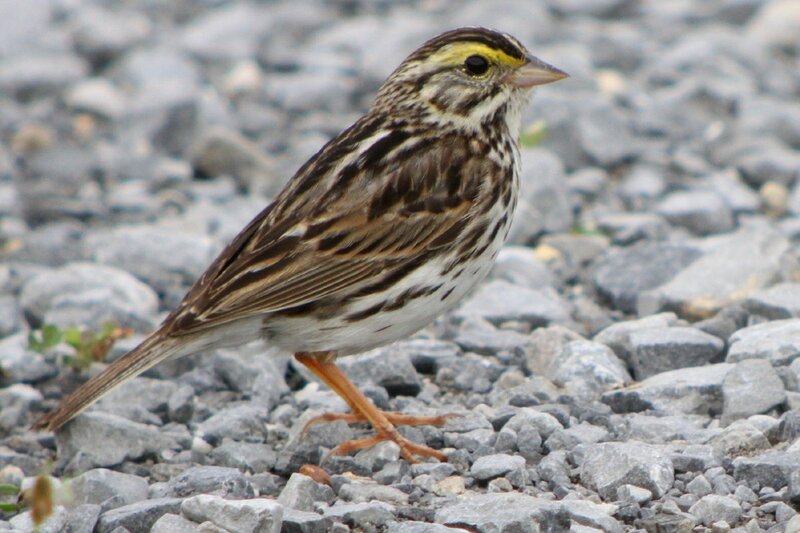 While I was in North America, I thoroughly enjoyed Savannah Sparrows for the very reasons Carrie stated. I also think they are amazing. Nice images, especially amongst the flowers. i do not have that persons number. Excellent shots of what is most likely my favorite sparrow Corey! How Fast Can A Roadrunner Run? Where Are You Birding This Third Weekend of October 2008?